Still my favorite philosopher/economist/misanthrope. Still agree with him on nearly everything. Antifragile resembles a self-help book, though it is difficult to imagine any other self-help book as intemperate and cranky. The author is a tireless self-aggrandiser, boasting of his gargantuan reading habits; of being a weightlifter, ready to physically slap down detractors; and a gourmand, recommending fine wines and camomile tea to ease a troubled mind. Actually, Antifragile feels like a compendium of people and things Taleb doesn’t like. He is, for instance, annoyed by editors who “overedit,” when what they should really do is hunt for typos; unctuous, fawning travel assistants; “bourgeois bohemian bonus earners”; meetings of any kind; appointments of any kind; doctors; Paul Krugman; Thomas Friedman; nerds; bureaucrats; air conditioning; television; soccer moms; smooth surfaces; Harvard Business School; business schools in general; bankers at the Federal Reserve; bankers in general; economists; sissies; fakes; “bureaucrato-journalistic” talk; Robert Rubin; Google News; marketing; neckties; “the inexorable disloyalty of Mother Nature”; regular shoes. 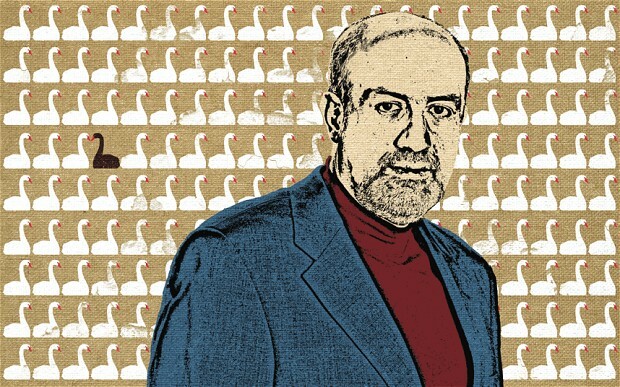 A reader could easily run out of adjectives to describe Nassim Nicholas Taleb’s new book “Antifragile: Things That Gain From Disorder.” The first ones that come to mind are: maddening, bold, repetitious, judgmental, intemperate, erudite, reductive, shrewd, self-indulgent, self-congratulatory, provocative, pompous, penetrating, perspicacious and pretentious. He also comes across as a helluva personality: irascible, finicky, vain, prone to fits of pique at those who mischaracterize his ideas (uh-oh, better watch out), disdainful of journalists (double uh-oh), a weightlifter, too (this is your third and final warning). You’re critical of various groups who claim to be able to predict and manage the future – which, in your opinion, has done the most damage? The most damaging group are economists; probably the most damaging individual is [former chairman of the US Federal Reserve] Alan Greenspan, and maybe also [current Fed chairman] Ben Bernanke and [US treasury secretary] Timothy Geithner. The reason I’m against the top-down state isn’t so much theoretical, but because of what I call having skin in the game – bureaucrats have no personal stake in their decisions. I don’t tell you what I predict; I tell you what’s in my portfolio. So economics-wise, I don’t want people to tell me what to do; I want to know what they’re doing.